The strategic activities of Hardenberg-Wilthen AG include the expansion of export business as well as the exclusive sales of third-party brands in Germany (import business). 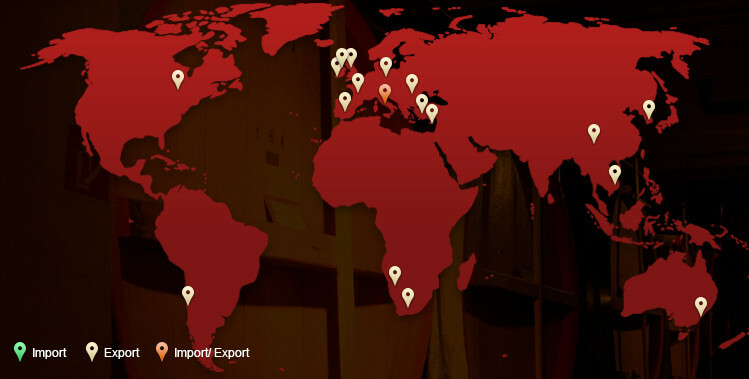 Our focus brands in all export markets are Original Danziger Goldwasser, Schwartzhog and Kleiner Keiler. These brands appear as primary growth drivers and are therefore the top brands for our global business. The brands are successful due to their differentiation and brand strength as well as due to consumer appeal. We invest worldwide in the marketing & sales of these brands, but while doing so we also pay special attention to local cultural requirements and dealing respectfully with people as well as long-term trusting partnerships with local distributors. Since 2012 we have intensified activities in the import business. Top international brands are already part of the portfolio today. We will continue the expansion in the future.